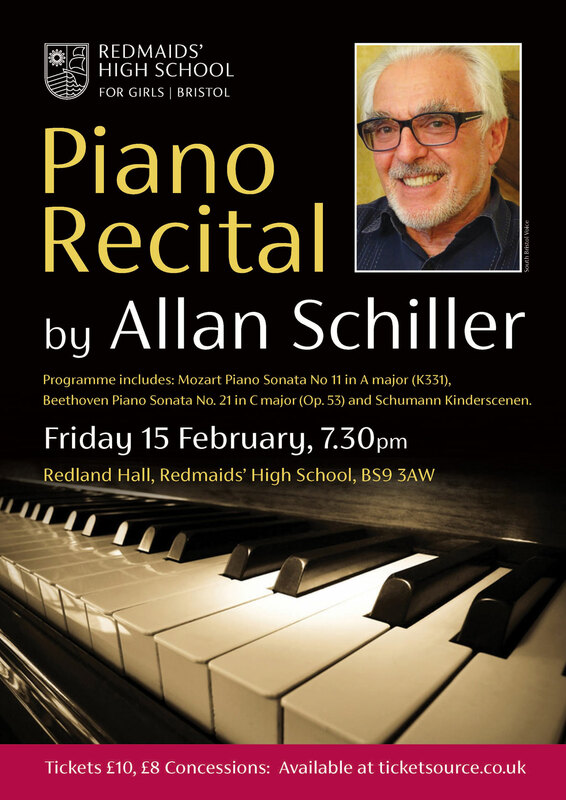 ALLAN SCHILLER is widely regarded as one of the finest pianists of his generation. Early studies with Fanny Waterman, in his native Leeds, were followed by an intensive period of training with the distinguished pianist Denis Matthew. At the age of eighteen he became the first British pianist to be a awarded a scholarship to study at the Tchaikovsky Conservatoire in Moscow, where he joined the class of Professor Victor Merzhanov. His performing career began at the age of nine, when he performed a movement of a Haydn concerto with the Yorkshire Symphony Orchestra at a series of concerts for schoolchildren in Leeds Town Hall. Only a few months later he appeared as soloist in a Mozart concerto with the Halle Orchestra under the great Sir John Barbirolli. Whilst still a schoolboy he played at both the Edinburgh International Festival and at the Henry Wood Promenade Concerts at the Royal Albert Hall with the National Youth Orchestra of Great Britaain. Since those early days he has developed a career which has seen him performing with all the major British orchestras under such conductors as Georg Solti and Bernard Haitink, and giving hundreds of recitals and chamber music concerts with some of the country’s top ensembles. He has been a popular BBC artist, and his commercial recordings cover a wide repertoire, and span a period of some sixty years. Tours abroad have taken him to Canada, the former Soviet Union, Italy and South America. He brings to his performances an innate musicality allied to a beauty of touch – critics praise the clarity of his playing and his ability to make the piano sing.